It’s been a while since I’ve done any book reviews, but I’ve been inspired to start again by my experiences in reading ebooks. My husband and myself were lucky enough to get a Kindle each as a birthday present from my sister in law. Thanks Moira! 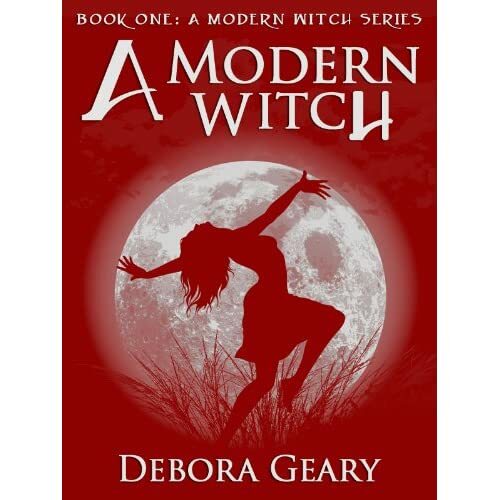 I’ve been reading quite a few books on my Kindle, and here is one I thoroughly enjoyed: A Modern Witch by Deborah Geary. It’s a fresh take on the classic fantasy trope of somebody coming unexpectedly into their magical power. But unlike many others, this is dealt with a light and humorous touch – no endless pages of adolescent guilt and denial! This is not the usual plot about taking-down-evil-threat-to-the-world-with-predictable-cliffhanger-ending. It’s all about relationships and people getting to know themselves and one another. I also appreciated the many strong female characters. This book certainly passes the Bechdel test! I have four of the Modern Witch series on my Kindle. As soon as I start one, its finished in just a few days-I’m hooked! Can’t wait for Witches on Patrole book 2 coming out in January! I just finished the first two and will start the third tonight. I plan on getting more on my Kindle. I am not sure how I never discovered her books before. I love books with a strong family base to them. Then of course I love books about witches and witchcraft that don’t paint it in an evil good vs. evil way. Nora Roberts has a few series that I love as well. I can’t wait to read the next series when I am done this one. I have found a new favorite author to add to my long list. You’re right. I absolutely adore her style and the way she portrays the use of magic,its repercussions, and the relationships that it helps build. I can’t wait for the next in the series!